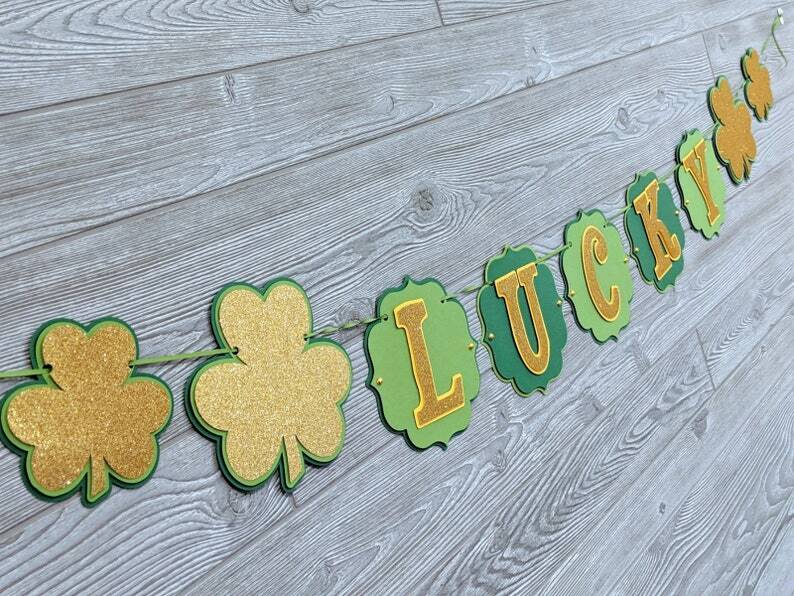 St. Patrick's Day "Lucky" Banner with two shamrocks on each end (one large and one smaller). 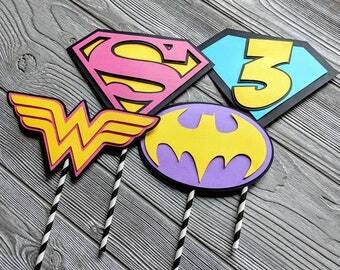 Each pennant measures approximately 6in. x 6in. The complete banner, as show, is strung between two hooks spaced approximately 6 feet apart. The colors of the pictured banner are bright green, darker green, light yellow and gold glitter cardstock.